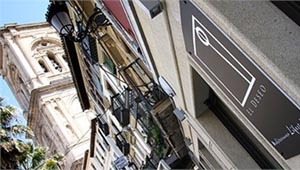 El Deseo Restaurant – Plaza de la Romanilla – (Granada). There are two typical Andalusian courtyards in “El Deseo” restaurant. The rest of the dining space is distributed around them. Can you imagine having a meal in such a privileged environment? Undoubtedly, any desire can be fulfilled there. “El Deseo” restaurant has three different rooms so that our guests can choose which one they’d rather be in each time they visit us. Therefore, we have a room for those who wish to be in a more private setting, one for those who wish to have views to our inner courtyard and another for those who want a more casual atmosphere, near the bar, an ideal spot to taste our tapas. But if what you want is clean air, some sunshine and a view of the Cathedral, your table is on the terrace!